Article by Swirl and Thread ©. 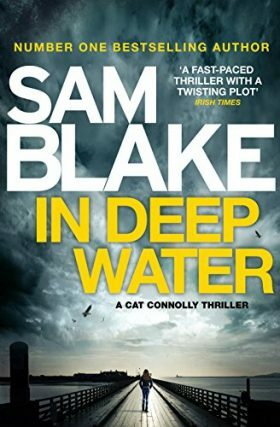 Posted in Book Reviews | Crime/Thriller. 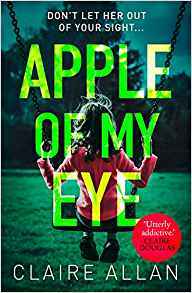 Described as a ‘shockingly twisting thriller that will shake you to your very core’, Apple of My Eye tells the story of one woman’s desperation to have a baby to call her own and the lengths she is willing to go to to achieve this. Eliana Hughes works long hours in a hospice in Derry. Her husband, Martin, an architect, has set up his business there and now, with a beautiful new home and their first baby on the way, life should be good for Eliana. But the pregnancy isn’t as Eliana hoped. She is exhausted from the constant nausea and is finding her days extremely challenging, leaving her a little depressed and bereft. Was pregnancy supposed to feel like this? Eliana expected an immediate bond with this new life growing inside her but the bond just isn’t there, which worries her. With Martin back and forth to London on a regular basis, a loneliness sets in with Eliana. Her mother, Angela, lives in Belfast and regularly makes trips to Derry to visit Eliana, with mother and daughter having a very close relationship. When Angela receives a call from Eliana, who is clearly worried about something, Angela travels immediately to be by her side. Eliana has received an anonymous note, a note that could potentially ruin her marriage and her life, as the note suggests that Martin has cheated on her. Initially dismissive of this, Eliana continues on with her busy day at the hospice, but circumstances get a little more sinister when a second note arrives through the window of her home, at night, when Martin is in London. As the doubt creeps in, cracks appear in Eliana’s marriage and she begins to imagine a very different future for herself and her baby. Louise is a woman suffering greatly following the death of her baby. Her mind has wandered somewhat, leading Louise to believe that God has created a new destiny for her. We get an insight into Louise’s mindset as the story unfolds. and it’s clear to see how disturbed she is through Claire Allan’s excellent portrayal of the damaged mind. As Eliana and Louise’s storys unfurl, Claire Allan builds up the suspense, gradually feeding tidbits to the reader. I did get an inkling midway through the book but I was very happy to read on, due to the fact that I felt an empathy toward Eliana and found myself rooting for both Eliana and Martin to come away with their marriage intact and their love for each other stronger than ever. 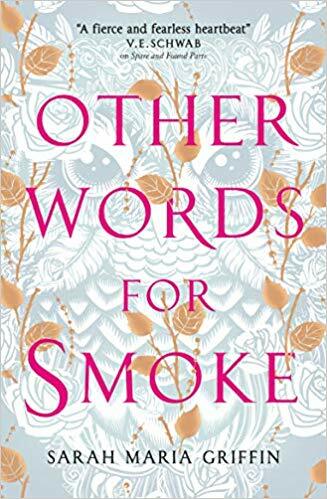 As an aside, I have to mention the reference to the hospice and Eliana’s role as a palliative nurse, which I felt was portrayed with great sensitivity and compassion, highlighting the importance of the nursing staff and the Hospice Foundations everywhere. Apple of My Eye has plenty of drama to keep the reader turning the pages as the characters’ stories are developed. It highlights many themes including grief, trauma and loss, but also that of control. 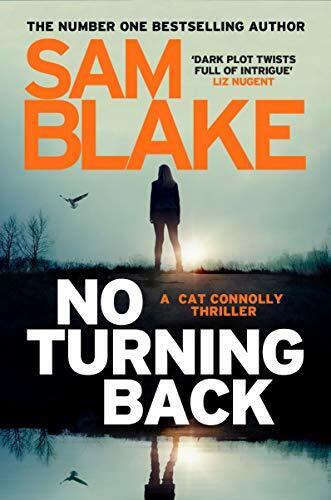 Claire Allan has certainly found her niche in the psychological thriller genre!